Cal Poly professor Alison Ventura and her students are working to decode the unspoken mysteries between a mother and her baby. With $2 million in multiple grants from the National Institutes of Health, the research team will study how interactions between mothers and babies may affect babies’ risk for overfeeding and later obesity. The first of these focuses on promoting healthy bottle-feeding and weight gain for formula-fed infants aged newborn to eight weeks old. Research assistants will visit mothers in their homes four times and observe mothers and infants during bottle-feeding. They’ll also take measurements to assess infant growth and development. The second study is similar but concentrates on mothers who are breastfeeding. To push the frontiers of how infant feeding is studied, Cal Poly will team up with the University of Michigan for a third study that will follow new mothers from pregnancy through the infants’ first birthday. 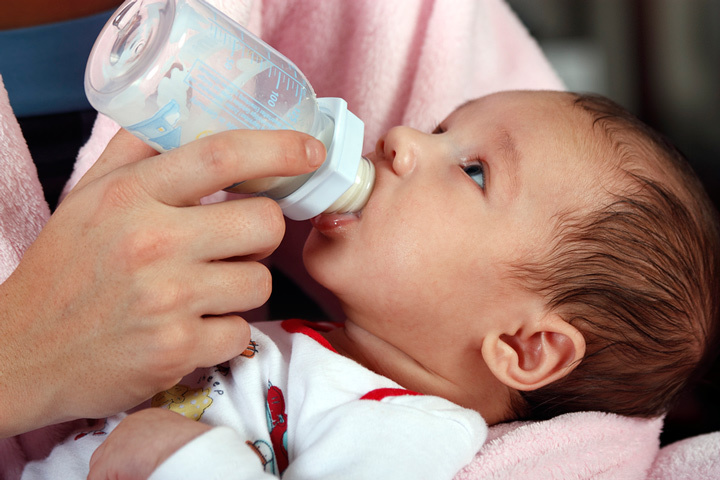 Researchers in Michigan will film bottle-feeding and solid food feeding sessions. Cal Poly students will then review each recorded session and code the behaviors of both mother and baby. The goal is to describe the behavior patterns that develop between mother and infant while feeding. Researchers will analyze the videos to understand whether and how certain patterns predict infants’ growth and development. "An exciting part of this study is that it will be among the first to look at how both the mom and the baby develops and changes over time and during the transition from early milk feeding to later solid food feeding. Then, instead of assuming that a certain set of behaviors are best for mom and baby, we are going to explore and describe what they do,” Ventura said. “Using these data-driven approaches, we’ll be able to see how different patterns of mother-infant interaction may protect against or relate to things like obesity risk." Ventura’s long-term goal is to better educate new mothers and provide scientific evidence for programs that encourage healthy lifelong eating habits.